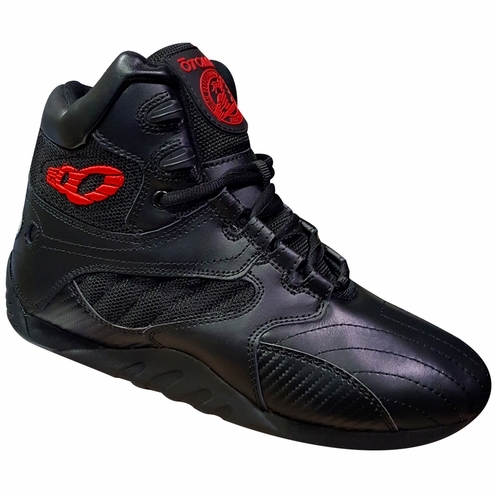 Otomix Female Black Carbonite Ultimate Trainer Shoe is now on FINAL SALE! These trainers have been designed specifically for weightlifting and they incorporate the new High-Performance Bodybuilding system. The HPB system provides a combination of comfort and support utilizing a special wrap around strap adjusted by our innovative lacing system. The sole is slightly angled for maximum muscle building. This shoe is a must for the serious bodybuilders, powerlifters and weightlifters. Bodybuilding is in our DNA!